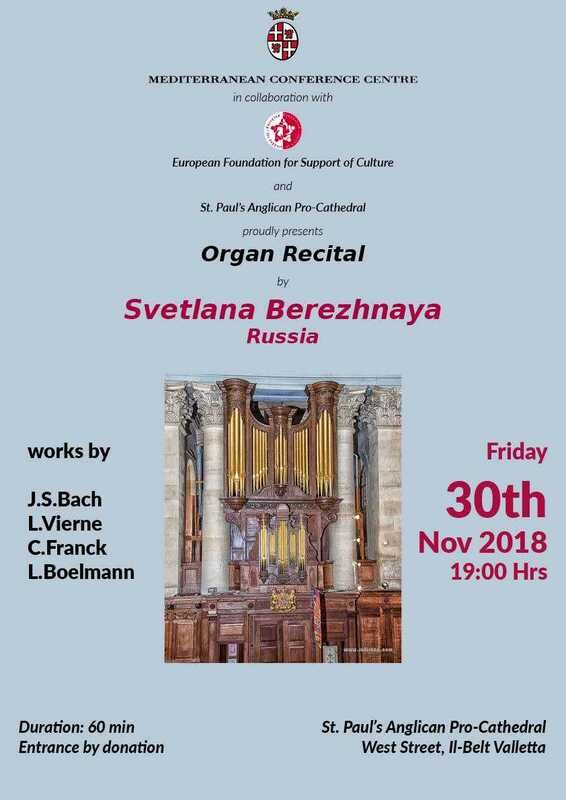 One of Russia's most important organists and harpsichordists, Svetlana Berezhnaya is not new to the Maltese music scene. She plays regularly in Russia as well as in many European countries. She shall be playing on the newly refurbished organ at the St Paul's Anglican Pro-Cathedral which is one of Malta's finest instruments. The programme shall include works by Bach, Franck, Vierne and Boelmann. Entrance is by donation. This event is supported by the European Foundation for the support of culture.